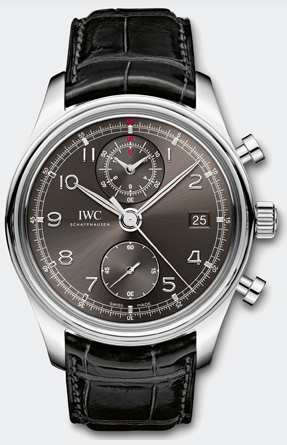 Since the late thirties and early nineteen forties, Luxury watch brand IWC has been making the Portuguese model. This particular model exudes timeless understated sophistication. 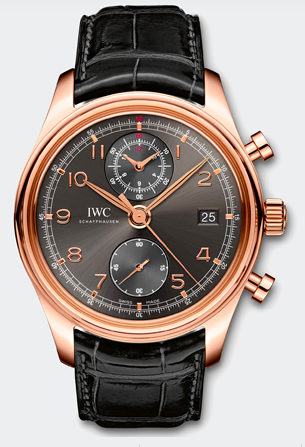 The current IWC Portuguese Chronograph Model is available in stainless steel as well as red gold. The movement of the watch is not in-house and the displacement of the subdials crowds the number six and 12 cutting the arabic numerals off which has been a huge point of contention amongst collectors and watch enthusiasts alike. The case size is 40.9 mm which is a good size, but a little small for my liking. This watch has 44 hour power reserve and the watch has been one of their staple pieces in their core collection for years. 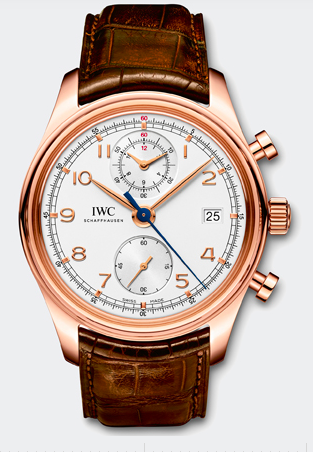 IWC just released the new Portuguese Chronograph Classic. The watch has been re-designed in every way from the case, dial and movement. The case is still available in red gold and stainless steel like the original. The size of the case has now gone to 42 mm size and comes in silver dial and ardoise dial variations. The dial has been completely redesigned and cleaned up, as the numbers six and twelve have been removed to make more room for the vertical subdials making it cleaner more legible. As there is more space, an added complication of date has been place at the thee o’clock position of the dial making it more classic and functional. 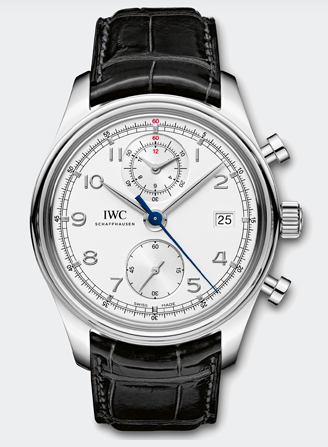 The new IWC Portuguese Chronograph Classic has been fitted with an in-house movement, the IWC-manufactured 89361 calibre. The movement was developed specially to show stopped times up to 12 hours on a separate subdial, which can be read off like the time of day. The rotor, decorated with Geneva stripes, can be seen through the transparent sapphire-glass back. All models are supplied with a Santoni strap made of alligator leather. I love everything about this new classic Portuguese model. The improvements were definitely much-needed and welcome from a practical and technical standpoint. The price is the only thing that bugs me. The new steel model is $14,400 while the original model which is $7,900. The new red gold model is $24,200 while the original is $16,400. I know they are really two different models, but I just don’t know if the changes made to the new model justifies almost a 40 percent price difference but only time will tell.